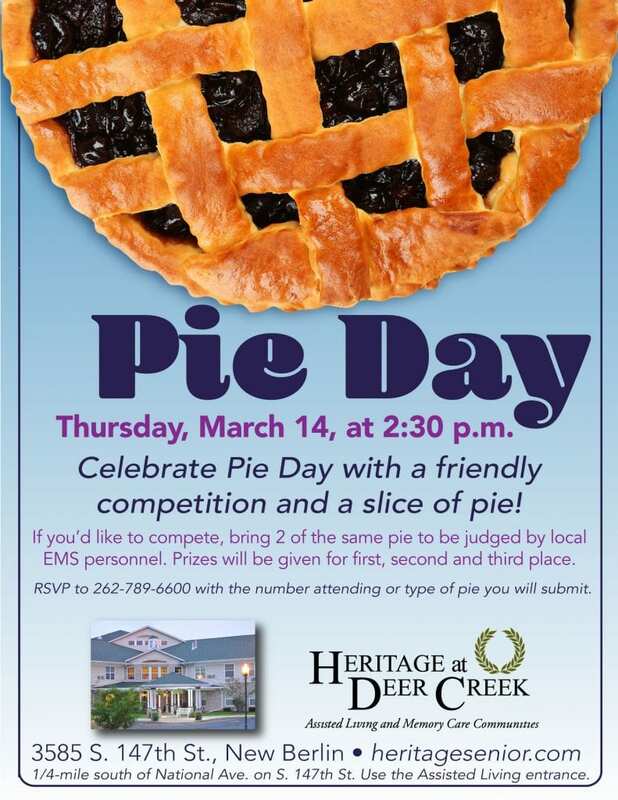 Celebrate Pie Day with a friendly competition and a slice of pie! If you’d like to compete, bring 2 of the same pie to be judged by local EMS personnel. Prizes will be given for first, second and third place. RSVP to 262-789-6600 with the number attending or type of pie you will submit.